This week on Black on Black Cinema, the guys return to discuss the 1974 Gordon Parks Jr. blaxploitation action classic, "Three the Hard Way" starring Jim Brown, Fred Williamson, and Jim Kelly. The three blaxploitation stars join forces in a film about three men who have to take down a white supremacist organization trying to poison the drinking water of Black people. This week on Black on Black Cinema, the guys return to announce the next film for episode 150, "Three the Hard Way." The film deals with three Blaxploitation action stars, Fred Williamson, Jim Brown, and Jim Kelly coming together to fight against the poisoning of the Black community. The random topic this week is about the untimely death of rapper Nipsey Hussle, and how we, the Black Community, deal with the loss of our public figures. This week on Black on Black Cinema, the guys return to discuss the 2009 tour-de-force, Obsessed starring Idris Elba, Ali Larter, and Beyonce. Obsessed tells the story of Lisa (Larter), an office temp, who develops romantic feelings for her boss, Derek Charles (Elba), and repeatedly attempts to seduce him. Derek's wife, Sharon (Beyoncé), learns of Lisa's obsessive behavior and suspects an affair. This week on Black on Black Cinema, the guys return to preview the next film, the 2009 tour-de-force, Obsessed. The film follows a married Black businessman who is being pursued by an off-kilter white secretary at his job. The random topic of the week is all about the exposed college admissions scandal that once and for all disproves the American meritocracy argument. Collin (Daveed Diggs), a convicted felon, is struggling to finish the last three days of his probation. Collin, along with his short-tempered best friend Miles (Rafael Casal), works for a moving company located in Oakland, a city in the Bay Area. One night while waiting for a red light, Collin witnesses a white police officer (Ethan Embry) gun down a black civilian. As Collin is haunted by the incident, he begins to have nightmares and experiences hallucinations. This week on Black on Black Cinema, the guys return to announce the next film to be reviewed, "Blindspotting." The film follows a parolee with three days left on his sentence, only to have him witness a police shooting that threatens to ruin a lifelong friendship. The random topic of the week is about a conversation involving actor, Terry Crews about views of parental dynamics and gender roles in those dynamics. The hosts discuss their three different experiences growing up and breakdown their thoughts on Crews' statements. 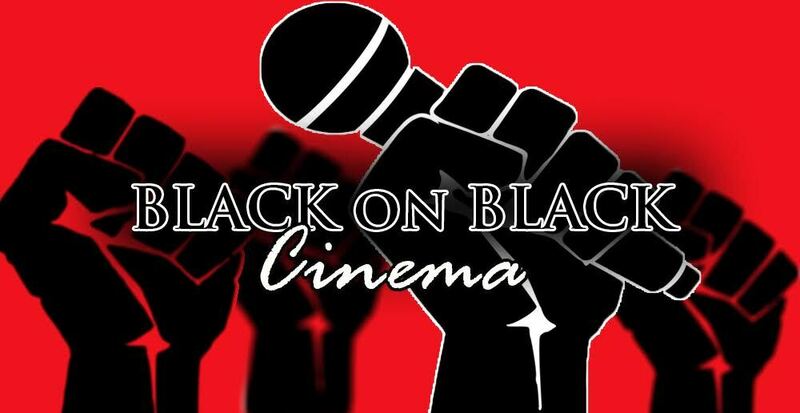 This week on Black on Black Cinema, the guys return to discuss Steven Soderbergh's latest film, "High Flying Bird" on Netflix. The film follows a fast-talking sports agent who, during an NBA lockout, is working with a hotshot rookie who is concerned about the future of his career. Meanwhile, notions of race and power are explored via professional sports athletes and their team owners. This week on Black on Black Cinema, the guys return to discuss the interview between Steve Harvey and Monique about her being blackballed in Hollywood. The two comedians have a discussion that deals with integrity versus making it in the industry. We breakdown their points, and where they both get it right and both get it wrong. The next film to be reviewed will be "High Flying Bird" (streaming now on Netflix) which tells the story of a young NBA star who, alongside his agent, aims to change basketball and the power of the Black player. This week on Black on Black Cinema, the guys return with special guest, Deacon, to discuss the 2017 Tupac Shakur biopic, "All Eyez on Me." The film stars Demetrius Shipp Jr. as the complex rapper who struggled between growing up inspired by political activists and the draw of the creation of east/west coast rap beef in the golden age of "gangsta rap." This week on Black on Black Cinema, the guys return to preview the next film, the 2017 biopic "All Eyez on Me." The film stars Demetrius Shipp Jr. who portrays Tupac Shakur, legendary rapper and controversial figure. The random topic of the week is on the revelations that actor Liam Nesson once planned to kill a Black man after finding out that his close friend was raped by a Black man. The hosts discuss the weirdly timed revenge story, it's implications, racial overtones, and of course the idea of what a conversation about race actually looks like and will it ever truly happen.